She graduated with a BFA from the University of Santo Tomas. She held her first solo show at the PAG. Her painting “Dead Christ” won Second Prize at the Shell NSAC in 1961. She has consistently painted woman as full-bodied figures unmindful of her daily burdens. Joy in daily survival are reflect in her paintings of everyday scenes. 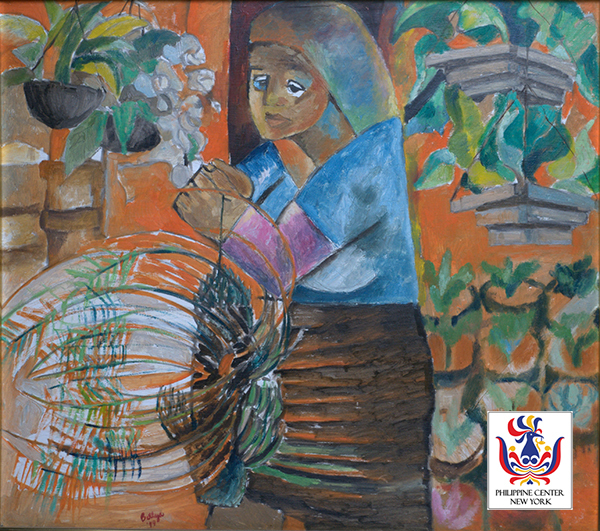 She was a recipient of the Araw ng Maynila Award for Painting. She represented the Philippines in the First ASEAN Symposium of Aesthetics Workshop and Exhibition. She is included in the book Self-Portraits: Twelve Filipino Artists Speak by Thelma Kintanar and Sylvia Mendez Ventura (Ateneo Press, 1999).